Are pollen, bugs, and dirt taking the glitter out of your car? Then, you’ll need the best paste car wax to restore its luster and give it maximum protection. If you have used car wax before, you know the quality and protection are nowhere near equal. However, the top 5 best car wax paste highlighted here are top of the line. Longevity—Get a paste that lasts so you don’t have to keep repeating the process. Protection—Avoid paste waxes that focus solely on aesthetics. Look for a car wax paste that provides protection for the paint job. 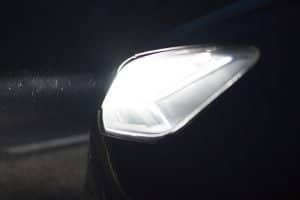 UV ray protection—UV rays can damage your car, so a car wax that offers protection from them is ideal. Ease of application—The car paste should be easy to apply. 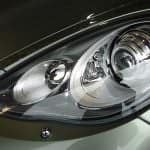 Cost efficiency—How much paste do you have to apply to get that reflective shine? Are you getting your money’s worth? 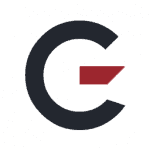 Brand reputation—Is the company behind that car wax known? 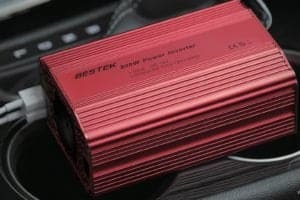 What do car owners say about their products? What are the benefits of car wax paste? Protection—Car wax paste protects your car from bugs, dirt, and other elements that damage it. Adds luster—Do you have an old car with dulling paint? Give it a good wax with paste and you’re going to see its luster come back. The best ones are good enough to make it reflective, like a mirror. Increases car lifespan—By applying car wax paste, you’ll be extending your car’s lifespan. Now that you’ve got a car wax paste, it’s time you put it to use. Here’s how. There are several ways to apply car wax paste. Proper buffing makes a huge difference with the results, and you’ll want to strike the right balance between protection and giving it that shiny look. Hand wax buffing takes time, but many car owners prefer this because it gives them a lot of control during the process. Start from the top of the panel you’re working and proceed left to right. Once you get to the panel’s other side, go down a couple of inches and begin buffering to the left. Continue until you get to the panel bottom. When done, go right to left until you have completed the panel top to bottom. Repeat this for the whole car. Aside from a quality car wax paste, you’ll also need a soft, but firm sponge. Avoid those with hard corners as it could damage the paint. A waxing brush is preferable to a cloth to avoid scratching the surface. Electric buffers make it easy to apply car wax paste because it does most of the dirty work for you. You just put the wax on your car and the electric buffer starts moving across the surface. The buffer spreads the wax across the surface, giving it a nice reflective shine. Use the right movements when waxing. One of the most common mistakes is waxing in a haphazard manner. The correct way is to make circular motions that overlap, as it allows the wax to move deep into any scratches or cracks, and seal them. The smoother your application, the shinier your car will appear. 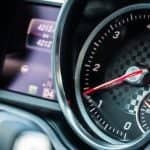 There are no hard or fast rules as it depends on the wax, the age, and condition of your car, how and where you drive it. Most would suggest every six months for average driving, and most car waxes can last that long. Under optimum conditions, the effect may last even longer. But those are for ideal conditions, and that may not be the case with yours. 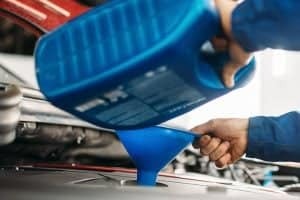 You don’t have to stick with the 6-month rule anyway; if the paint is starting to dull or dirt is building up, apply wax on it. 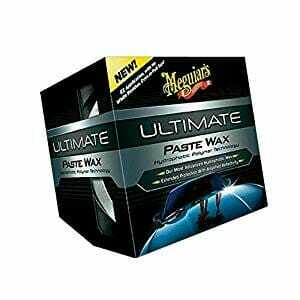 If your car is exposed to a lot of dust and dirt, get the highest quality wax paste you can buy. Are sponges good for car waxing? No, they’re not. Sponges may be good at trapping dirt, dust, and other particles, but they can cause scratches on the surface. If you’re going to hand wax your car, use a terry towel mitt or a wool wash mitt as they won’t leave any marks. Mitts are also as good as sponges when it comes to removing dirt and other particles. However, you can use sponges for wheel cleaning as their flexibility makes it easy to wipe indentations and recesses. It used to be that you needed to use a wax paste similar to your car’s color to hide imperfections and dents. However, that is no longer necessary. These days, you should use a rubbing compound or polish to cover the imperfections and then apply the wax. The Meguiar’s G18211 Ultimate Paste Wax uses ThinFilm technology for a hassle-free application on different types of cars. You can also apply the wax under the sun without causing any damage. The G18211 contains sophisticated wax polymers, giving your car extra protection and enhancing its reflection. The Ultimate Paste Wax is also suitable for all kinds of car paints, and it’s been tested and proven to work with clear coats. 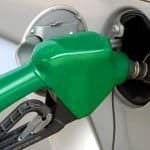 With regular application, you’re also going to see improvements in your car as the wax goes in deep. The wax also uses hydrophobic polymer technology to boost surface tension so water beads don’t settle on. The Ultimate Paste Wax offers long-term protection, and the end result is that your car gets a shiny, wet look like it’s new. The reflections are also dark and deep, and it’s going to last a lot longer than most other car wax pastes. It also comes with a microfiber towel for easy and quick removal. You can also apply it with your hand or an orbital buffer. Either way, the results are good and should make your car look new. 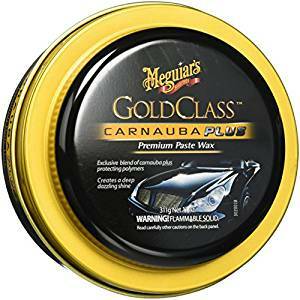 The Meguiar’s G7014J Gold Class Carnauba Plus Paste Wax contains high-quality carnauba polymer that gives your car a luxurious finish similar to what you’d get with more expensive products. The special Gold Class blend also gives a reflective shine similar to what you would get if it just came out of the showroom. The carnauba element, along with the polymers also provides extra protection against UV rays, bugs, and pollen. The formula is compatible with all kinds of car paint so compatibility isn’t a question. The wax has also been improved, so there is greater protection for your car. The waxing also brings more luster, and the reflections look deeper compared to other car waxes. A soft foam applicator is also included, and you can use the wax with a dual-action polisher or by hand. The biggest benefit of the Gold Class is that it’s easy to use. No matter how you decide to do it, the wax will be easy to apply. Shining is easy and removing it isn’t difficult as long as you don’t apply too much. The Johnson Wax 16 Oz Fine Wood Paste Wax gives your car a hard finish and sufficient protection, even under harsh environments. The formula is easy to buff by hand or with an orbital buffer, and with proper application, gives your car a nice shine. 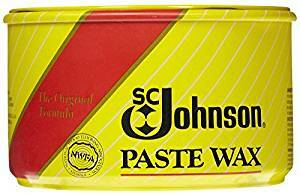 This Johnson Wax product gives your car paint a new-look finish, and its protective properties work on different types of materials. While the wax is intended mainly for furniture and floors, it is flexible enough to be used on car surfaces to seal them. If you have any wood material that needs sealing, Johnson Wax can do it. This is also an all-round wax that works on different surfaces, including vinyl, sealed cork, plastic, leather, and metal. With these qualities, you’ll be able to protect and seal not just your car, but other objects as well. The formula is waterless and has anti-buildup properties, so it’s not going to leave any marks on the car paint. Because the name is associated with furniture polish, most people don’t associate this with cars, but it’s pretty good. The name Turtle Wax is synonymous with car waxes, and the T-222R shows why this is so. This product has been around for a while now and has been upgraded to meet the needs of modern car owners. With the Super Hard Shell Wax, your car gets superior protection from bugs and dirt. 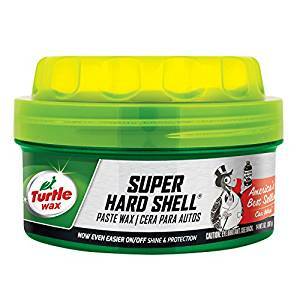 The Turtle Wax T-222R Super Hard Shell Paste Wax also has built-in protection against UV rays. UV rays aren’t just bad for you, but your car as well, causing the paint to dry and crack. By applying the T-222R, you’re giving your car the shield it needs from the sun. Even if you drive under the sun, the wax keeps your vehicle protected. The T-222R is nothing flashy, but it’s going to give your car a smooth and sharp look. Application is easy and the formula can last up to 12 months, and that says a lot about the quality. 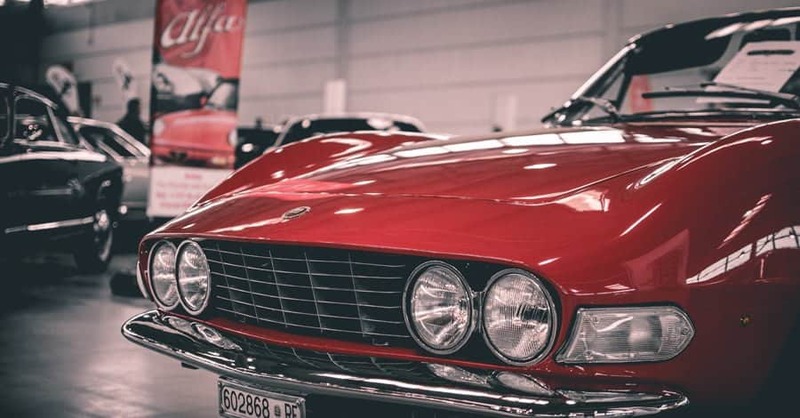 While Turtle Wax has no shortage of car wax products, this is one that you should consider, whether you’ve got an old or new car. 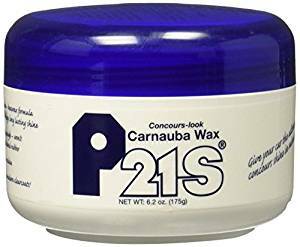 The P21S 12700W Carnauba Wax contains a special blend of carnauba wax to give your car a smooth, shiny finish with deep reflections. The wax has a long-lasting effect, so it’s going to be several months before you need to make another application. The end result is that you get a nice glossy surface for your car, without any swirls or ugly marks. You can apply the wax by hand or machine, but either way, the wax leaves your car looking new and keeps pollen, bugs, and dirt off. 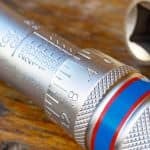 Buffing doesn’t take too long and doesn’t leave any powdery stains. 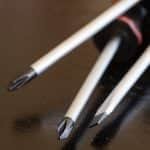 The wax also works on rubber and plastics, so it won’t cause any damage when you apply it. The shine is deep and long lasting, and it is comparable to high-end car wax pastes. The advantage with this is its compatibility with all car paints and finishes. With this, you just need to apply the wax properly and it won’t cause any damage. Apart from cars, the wax also works with other vehicles and produces the same results. Even the best looking car with the greatest paint job in the world isn’t immune to dirt and dust. Over time, these elements take their toll and could damage your car if you don’t provide protection. That’s why you’re going to need a good car wax paste to keep it in good condition. Of the products GarageChief reviewed though, we’d give the Meguiar’s G7014J Gold Class Carnauba Plus Paste Wax our highest recommendation. It is easy to apply and you don’t need to use a lot to give your car the protection required. We also like the reflective finish it gives your car. All quality car paste waxes provide that to an extent, but the Meguiar’s G7014J does it better than others. One of the criticisms against car wax is they don’t last, and that is true with some products. The Meguiar’s G7014J is an exception, however, as each application lasts far longer than most other waxes. The point is that the Meguiar’s G7014J does what you would expect from a car wax and a little bit more. For these reasons, it’s easy to give this a full recommendation. Sure, there are more expensive options, but with the Meguiar’s G7014J, it’s unnecessary.